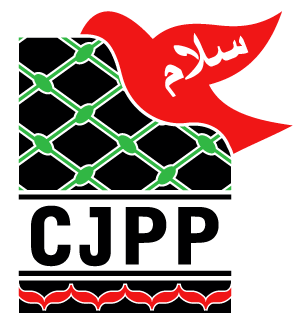 The Coalition for Justice and Peace in Palestine (CJPP) as a member of the Palestine Support Network Australia (PSNA), supports the call to the Royal Flying Doctor Service to reconsider its joint venture with the Israeli arms manufacturer, Elbit Systems, who are internationally recognised as being complicit in numerous serious and ongoing violations of international human rights law. Elbit Systems, (the parent company of Elbit Systems Australia), is a major supplier of weapons worldwide and to the Israeli military. This company is one of the worlds most aggressive promoters of the use of drones in warfare as well as in population control. Elbit has profited greatly from the arms used against civilian populations in Gaza, the West Bank and East Jerusalem. Elbit Hermes drones were one of the two main unpiloted aircraft used to attack civilians in Gaza during Israel’s 2009 Operation Cast Lead offensive which killed over 1,400 Palestinians, according to the Human Rights Watch (HRW) report[i]. Gaza was subject to military attack by Israel again in 2012 and then also in 2014 with Operation Protective Edge, where Elbit Skylark drones were heavily used for support of ground military actions along with Hermes 450s and 900s[ii]. The subsequent UN commission of inquiry stated that the scale of the devastation was unprecedented and it counted 2,251 Palestinian deaths and 18,000 homes destroyed. Elbit’s 2010 Annual Report disclosed that a subsidiary of the company produces white phosphorus ammunition. According to the Organization for the Prohibition of Chemical Weapons, the deployment of white phosphorus against humans is illegal and constitutes a war crime. In the aftermath of Operation Cast Lead, the International Committee of the Red Cross confirmed the use of white phosphorus bombs in Israel’s attacks on Gaza[iii] as did Amnesty International. International recognition of Elbit’s violation of international law has resulted in seventy-three members of the European Parliament calling to withdraw research grants and development funds to Israeli arms manufacturers, including Elbit. The Norwegian Government Pension Fund sold its $5.4 million holding in Elbit Systems Ltd due to the company’s supply of systems for the Annexation wall, which was declared illegal under international law by the International Court of Justice in 2004[iv]. We ask the Royal Flying Doctors Service to follow in the footsteps of international governments and reconsider its partnership with Elbit Systems.